Neutrinos, important ingredients to elementary particles. Neutrinos are the most abundant massive particles in universe and influence structure formation on cosmological scales. 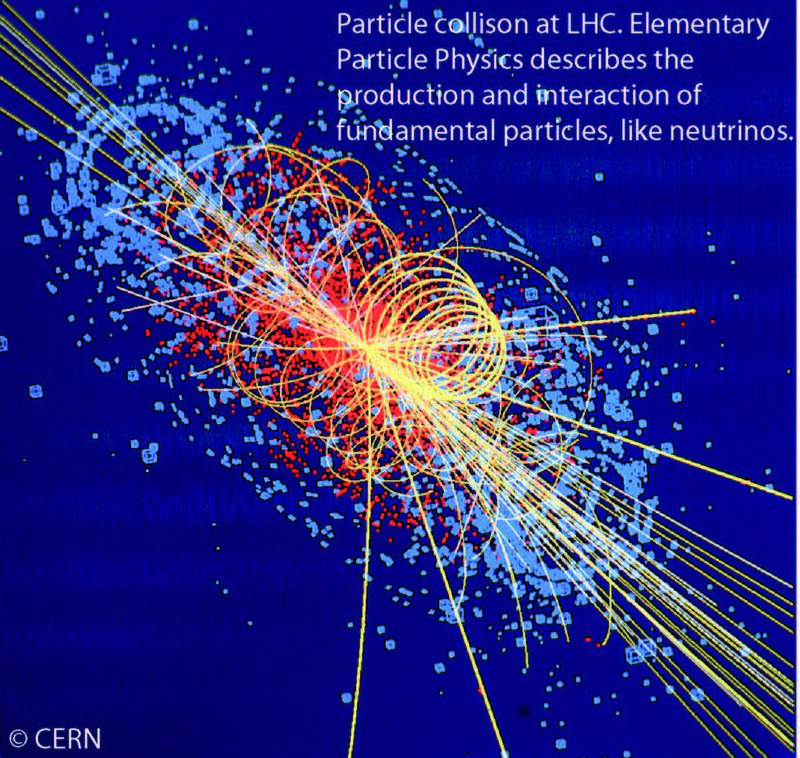 Neutrinos are the most abundant massive elementary particles in nature. Since their prediction to be existent they fascinate physicists. Due to their minimalistic properties they are key particles for understanding physics on the smallest scale (elementary particle physics) up to the largest scale - the universe (cosmology). Nature knows four different forces how a set of 12 elementary particles of matter called fermions interact between each other. Three of them are neutrinos, each being a specific type or also called flavour. The three interactions of particle physics, namely the strong, the weak and the electromagnetic interaction rule amongst many phenomena, how stable matter, like we know it from our daily life, forms. Neutrinos are the only elementary particles of matter, which do not carry electrical or strong charge and thus are blind to the electromagnetic and the strong interaction and can not be bound. In the context of particle physics they participate only in the weak interaction. This made neutrinos the most prominent candidate to explore with them the properties of the weak interaction. This story ended so far in the successful derivation of the Standard Model of elementary particle physics, which unites the electromagnetic, weak and strong force into one theory. 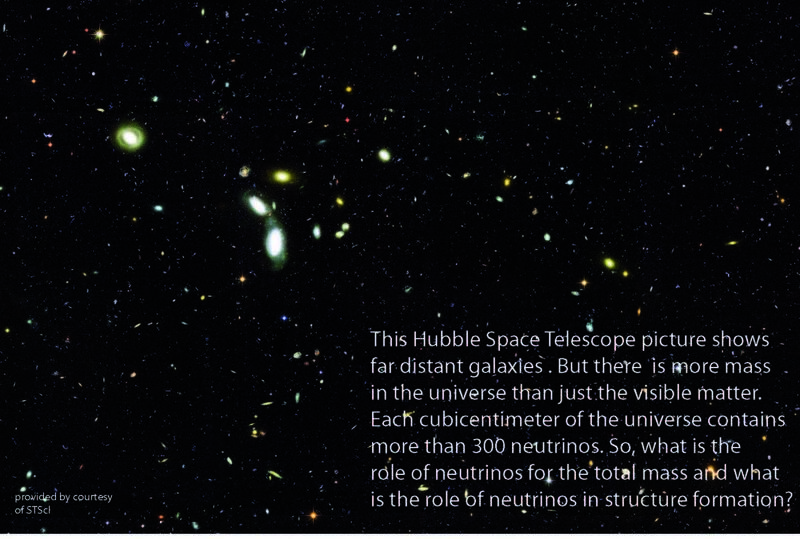 Nevertheless, neutrinos have not disused for particle physics. Quite the opposite, it is the yet unknown mass of the neutrinos, which could be the key to our understanding of the concept of “mass” in nature. Additionally as 4th force, there is the gravitation, which is too weak on the distances involved in elementary particle physics in comparison to the other forces . But on astronomical distances, gravitation rules the game and it gets important how much particles weigh and how they are distributed in the universe. Suddenly it makes an enormous difference if the neutrino weighs nothing, or is as light as the 10-10 part of a hydrogen molecule.